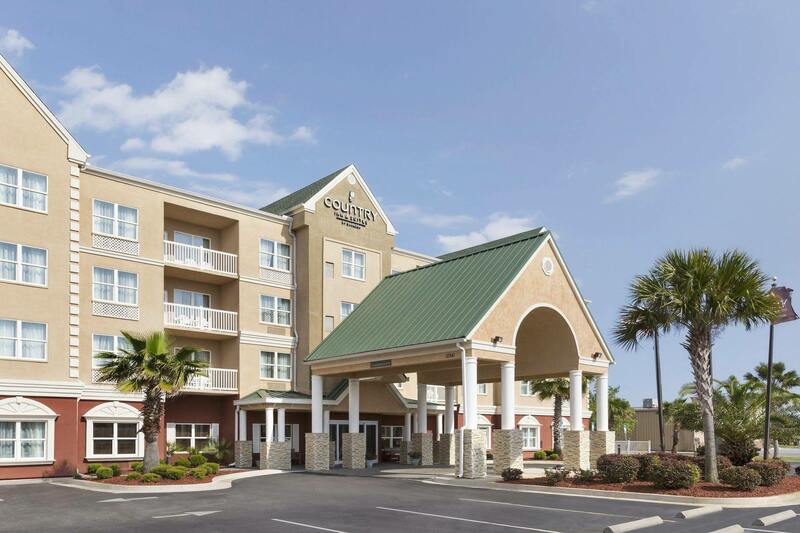 Property Location With a stay at Country Inn & Suites By Carlson, Panama City Beach, FL in Panama City Beach, you'll be minutes from WonderWorks and Ripley's Believe It or Not. This hotel is within close proximity of Coconut Creek Family Fun Park and Signal Hill Golf Course.Rooms Make yourself at home in one of the 82 air-conditioned rooms featuring refrigerators and microwaves. Wired and wireless Internet access is complimentary, while 32-inch LCD televisions with cable programming provide entertainment. Private bathrooms with shower/tub combinations feature complimentary toiletries and hair dryers. Conveniences include desks and complimentary newspapers, as well as phones with free local calls.Rec, Spa, Premium Amenities Be sure to enjoy recreational amenities including an outdoor pool and a fitness center. This hotel also features complimentary wireless Internet access and a fireplace in the lobby.Dining A complimentary continental breakfast is included.Business, Other Amenities Featured amenities include a business center, express check-in, and complimentary newspapers in the lobby. Free self parking is available onsite.